Officials said the suspected skyjacker was Seif Eldin Mustafa. ??????????? ?????????? ???????. ????? ??????? ? ??????? ????? ????. (Petros Karadjias/AP) People leave the hijacked aircraft of EgyptAir at Larnaca airport Tuesday, March 29, 2016. 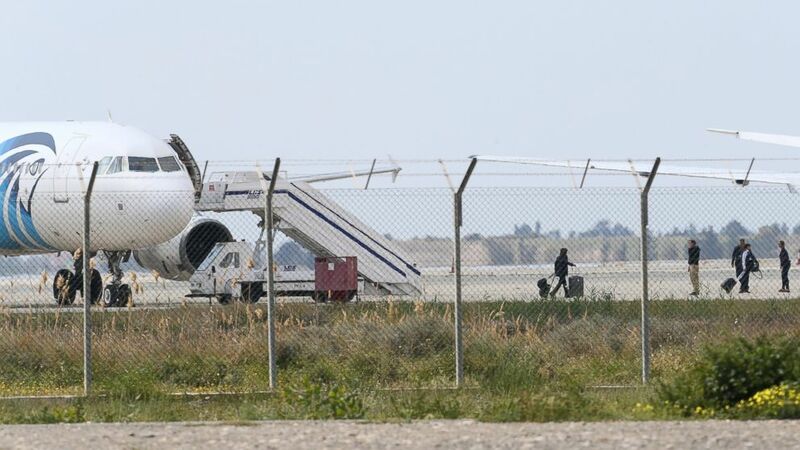 The hijacker had a “suicide vest” that contained no explosives -- just cellphone cases made to look like a suicide belt, according to the Cyprus Foreign Ministry.